Why Do We Choose Cisco Certification? What is Cisco certification? why do employers value this certificate so much? First of all, Cisco is a veteran network company born in the early days of the Internet! Simply put, in terms of status, Cisco's network equipment is like Microsoft's Windows and Intel processors. These three, also known as the win Telco system, laid the three major standards of computer software, hardware, and network in the Internet era. Certificates are generally divided into two types: national institutions issued by enterprises. In the IT industry, the certificate issued by the enterprise is much larger than the certificate issued by the state. Cisco certification is the most famous enterprise in the IT industry issuing certificates. The Cisco Certified Networking Specialist (CCIE) ranks fifth in the world's most valuable certificate rankings. Why is Cisco certification so influential? Whether a certification can last long and attract a large number of employers, one of the most important factors is the market position of the parent company of the certificate. As a veteran network equipment manufacturer, Cisco has a long-term market share and status in the industry. Cisco entered the Chinese market in 1994 and currently employs nearly 4,000 people in China. These people work in sales, customer support and services, research and development, business process operations and IT service outsourcing and Cisco financing and manufacturing. At the same time, the demand for network engineers in China is large, and the number of senior network talents is more than one million. It is growing every year. If you master network skills, you can easily find employment. 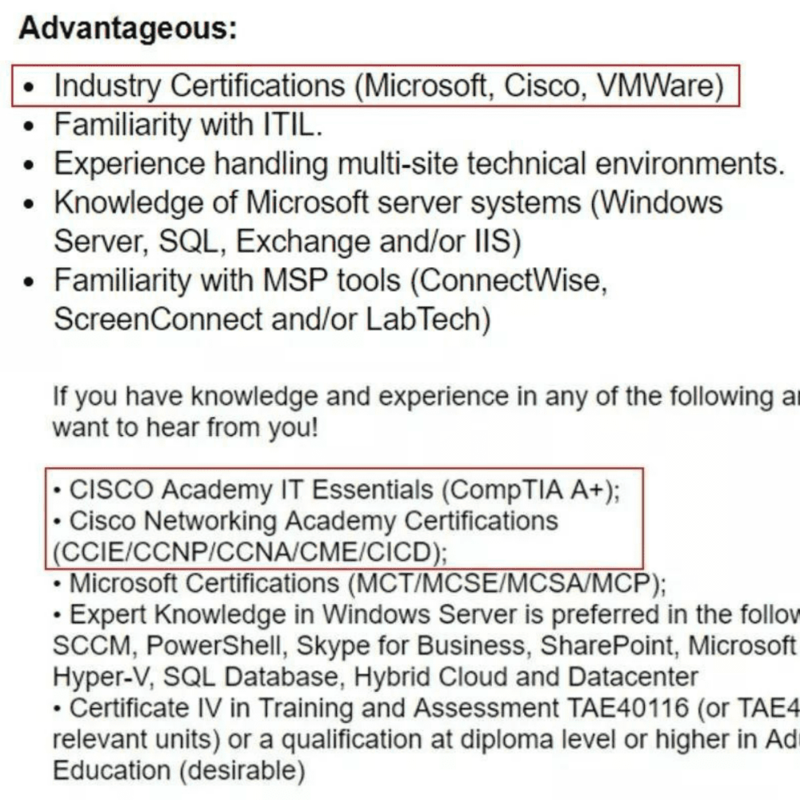 Do you need a Cisco certification? In the face of fierce competition, each college student has its own way of working hard to make himself stand out in the talent market! The most cost-effective of these efforts is undoubtedly an international passport CISCO. The amount of gold is comparable to the university diploma! Re-choice to enter the network industry, Cisco certification is a highly respected network skills certification in the Internet community. Getting Cisco certification is undoubtedly a stepping stone to the network industry. In the case that Chinese people are generally not looking for a job in Europe and the United States, Cisco certification is a magic weapon for entering the IT industry in high-paying industries abroad. In China, engineers with CCIE certificates have an average annual salary of no less than RMB 200,000. Cisco certification is aptly called “a high-tech, high-paying first-class ticket”. How many steps do you need to take CCIE certification? CCIE is the highest level in the Cisco certification system. There is only one course for the CCNA certification exam. If you have a chance at work, you can get more information about the specific operation of the Cisco router. There are three exam subjects that CCNP needs to pass, and you need to study carefully and experiment carefully. What kind of occupation can I pursue after learning Cisco? Network knowledge involves a wide range of applications, and the scope of application is also very large. CCNA: pre-sales (post) technical support; network implementation engineer; small and medium-sized enterprise network administrator; network technical support staff performing desktop support work in medium and large enterprises; Cisco sales channel partner sales representative; government and bank network personnel. CCNP: Pre-sales (post) technical support; senior network engineer; senior network consultant and analyst; key account representative; Cisco sales channel partner senior sales representative; technical project leader.